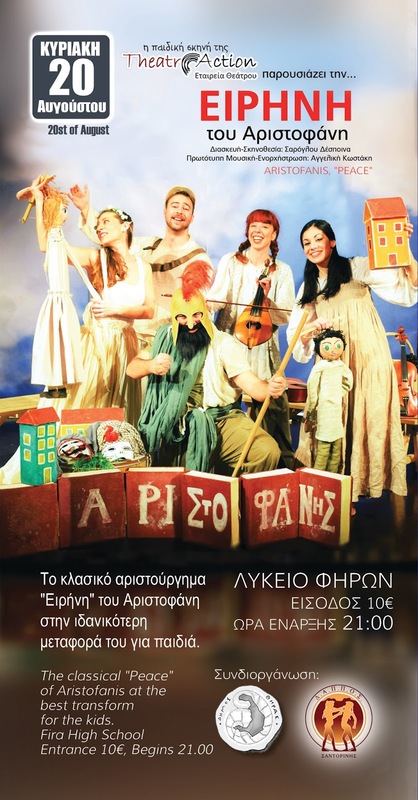 The all-time comic play “Peace”, written by Greek playwright Aristophanes 2,500 years ago, is now in Santorini, in a performance for children. The plot concerns the flight to heaven on a monstrous beetle by a war-weary farmer who searches for the lost goddess Peace only to discover that the God of War has buried her in a pit. The play is in Greek. At Senior High School in Fira, at 21.00.